Pants - Liverpool Jean Co.
Summer has really taken a toll on our schedule. Or maybe it was that business we started. Either way, my blogging schedule and our home life have been a bit unpredictable. 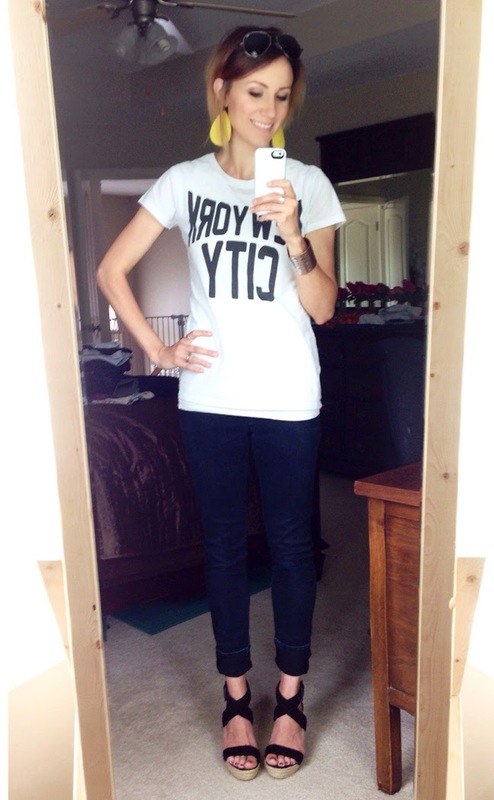 I'm back with #everydaystyle for July. 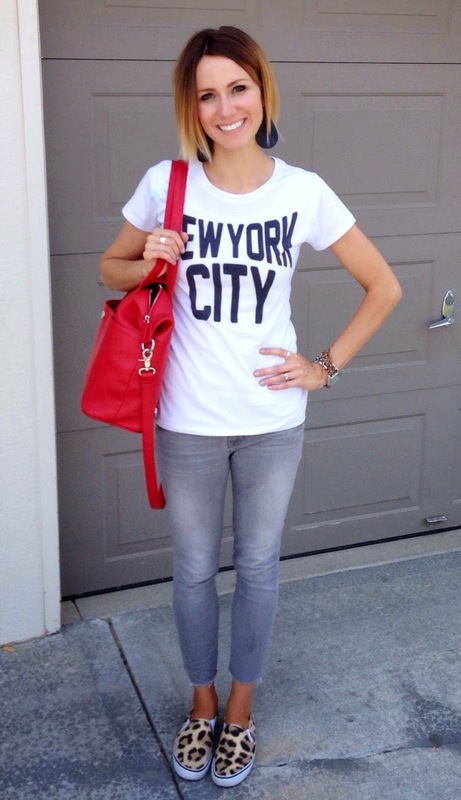 Clearly I'm loving graphic tees, cropped denim, and leather accessories. Summer is not a season that inspires me much in the wardrobe department. I don't love dresses, and I don't wear short shorts or tanks. That cuts out a lot of cute summer style. I've said it before, but I promise, fall will bring out the creativity in my outfits. So, if you've been struggling getting put together, getting out of swimsuits, or even getting makeup on this summer, believe me - you aren't alone. This momma has been pretty lax over here, too. What excuses have you found to dress up this summer? What makes you feel put together during the hot months? you have the best thrifted stuff! love all of these outfits! 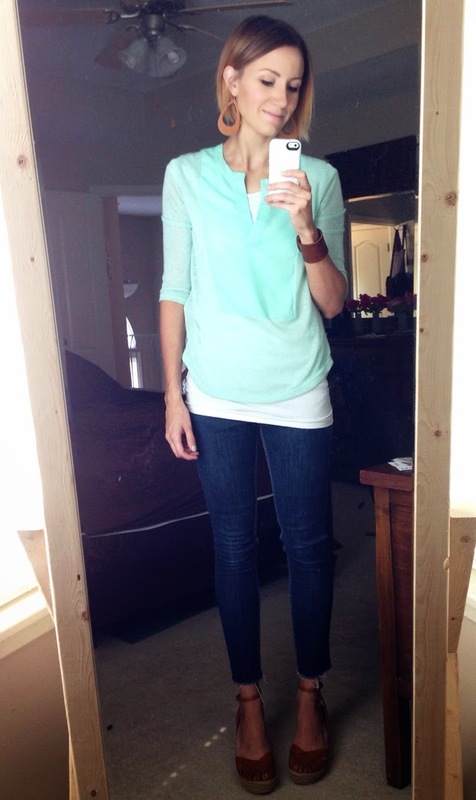 I so agree, I want to dress for fall all year 'round. Give me some scarves baby! I just found great leopard slip on sneakers like these at Old Navy right now! They reminded me of you. Ever since I saw yours, they were on my Must Buy list! So cute and functional :) Thanks! You have such an ethereal beauty. What makes me feel put together this summer is wearing your earrings!! 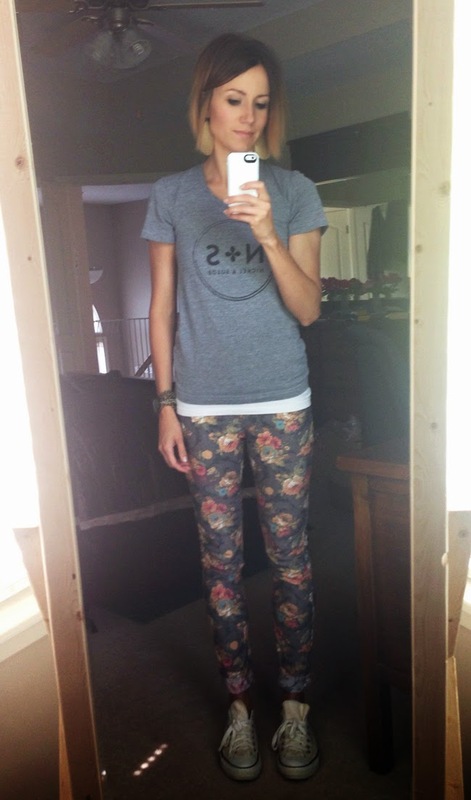 It may be simple but I love your graphic tees and cropped denim! 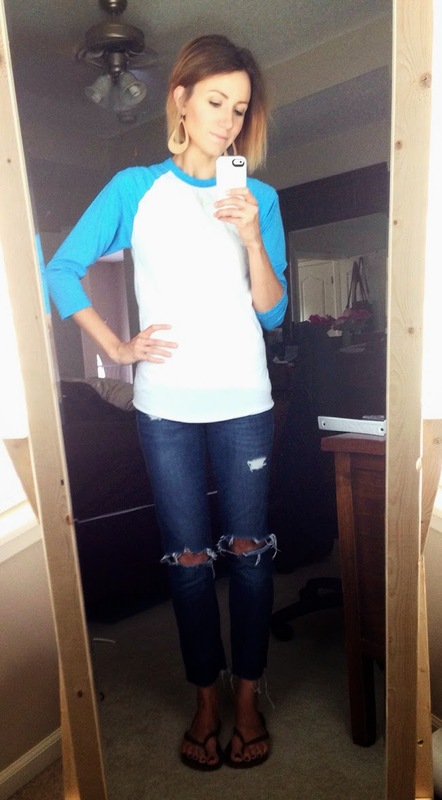 It's such a good casual and chic look on you.